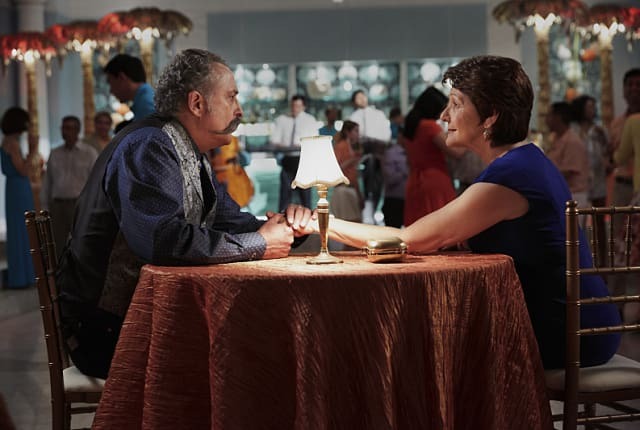 On Jane the Virgin Season 2 Episode 15, Jane does her best to win over Michael's parents. Meanwhile, Alba reunites with Pablo, and Rogelio struggles with the aftermath of his captivity. When you watch Jane the Virgin Season 2 Episode 15, you'll see Jane try to win over Michael's parents, but she ultimately decides it's okay if some people don't like her. Also, Jane gets a new advisor who urges her to think about her writing in a larger context. Meanwhile, Rafael worries that Petra isn't bonding with the babies, and he gets to know his half-brother, Derek. Michael saves Rogelio from Lola, but Rogelio struggles with opening up afterward. Alba reunites with Pablo, but bad things begin to happen around him just as they rekindle their passion! On Jane the Virgin Season 2 Episode 15, Jane is surprised when Michael's parents don't take too kindly to their re-engagement. Meanwhile, Alba reconnects with her first love.